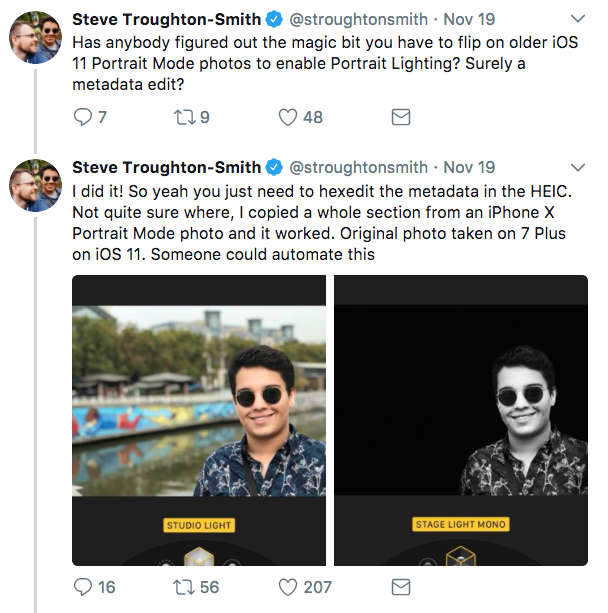 Developer Steve Troughton-Smith discovered he could edit an iOS 11 Portrait mode photo taken by iPhone 7 Plus, to have Portrait Lighting effects. How did he do it? 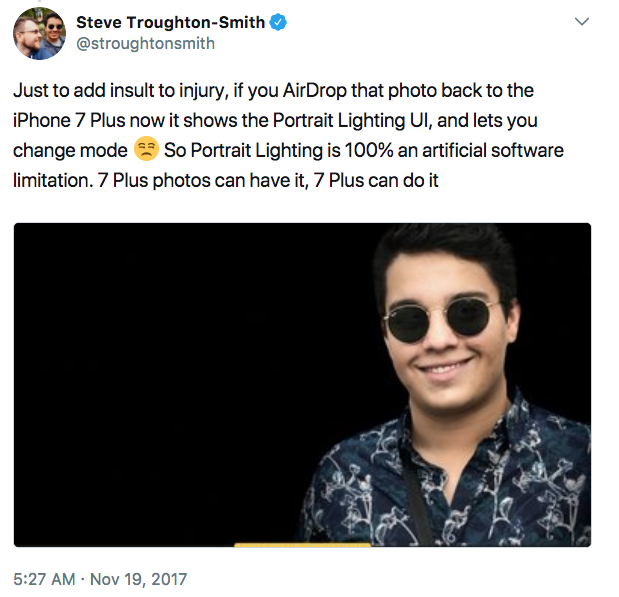 Now why would Apple limit Portrait Lighting to the iPhone X and iPhone 8 Plus, if it’s “just” a software limitation? My understanding is that these effects aren’t enabled on iPhone 7 Plus because performance was really slow at capture time. It really does require the A11 Bionic chip for adequate performance live in the camera. And Apple decided against shipping it as a feature for 7 Plus that could only be applied in post, because that felt like half a feature. So I’ve heard. Notice the part “so I’ve heard”, suggesting he got this little nugget of information from a source close to Apple (as he has done so in the past). 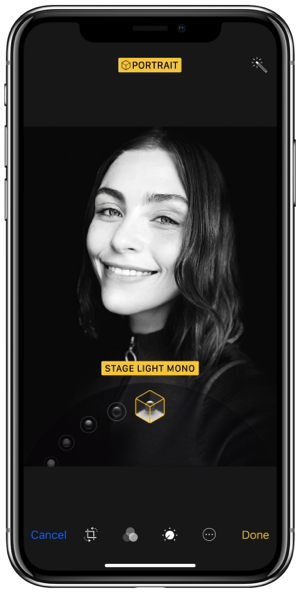 Portrait Lighting on iPhone X and iPhone 8 Plus allows users to add real-time studio lighting effects in Portrait mode and are essentially selling features of these latest iPhones. What do you think? 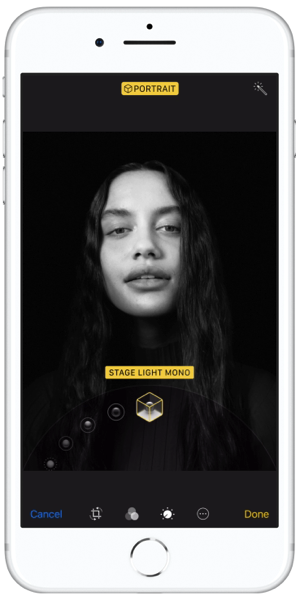 Should Portrait Lighting be available on iPhone 7 Plus? It would be nice, but we all know Apple wants users to experience the best features on the newest iPhones.